It is the objective of the interpreter to successfully convey every semantic element of the speaker’s speech as well as the tone and also register the intention of the message that the speaker is directing at the recipients. In cases where written speeches or lectures need to be interpreted, pre-translated texts are often used. Simultaneous interpretation is one of the most common types of interpretation in the world, and the interpreter has to do the best within the time permitted by the pace of the speech, while at the same time not disturbing the natural flow of the speaker. Simultaneous interpretation is the process where the interpreter needs to interpret what the speaker is saying at the same time as they are speaking. There is no delay between the interpretation and what the listeners are receiving. The interpreter can pause for no more than a couple of words behind the speaker. The pause is also only taken just to process the speech and process the interpretation. This type of interpretation is used commonly in the speeches given at the United Nations. Even presidential speeches or any large international conferences often make use of simultaneous interpretation. Simultaneous interpretation is one of the most demanding professions in the world. Only by being fluent in two languages does not mean that the nuances of correctly interpreting in a stressful environment come easily. There is also no time to consult a dictionary in case if there is an unfamiliar term or expression. The interpreter needs to be completely confident about their speaking skills. Improvisation is, therefore, an essential skill in this job. Interpreters become the voice of these international meetings and therefore, they need to be mentally prepared for carrying on through lengthy meetings and interpreting technical materials as well. Due to the intense nature of work, each interpreter usually works for 20-30 minutes at a stretch and then takes a break of 10 minutes in between each meeting. If the quality of interpretation suffers due to the interpreter being tired, listeners are the ones who are going to bear the full brunt of this. It is generally a standard industry practice to hire two interpreters for simultaneous interpretation assignments. An exciting tidbit to know is that the technique of simultaneous interpretation was first employed at the Nuremberg Trial after the end of World War II. Generally speaking, there are two types of simultaneous interpretation that exist, and these are segmented on the basis of whether any equipment has been used during interpretation or not. • It can be used for very few number of delegates who are standing or sitting close to each other. • It is generally used in bilateral meetings or in groups where some delegates do not share a common language. • It is often used in place of consecutive interpretation to save time. Many times, the whispering interpreter can also use a headphone so as to achieve the best possible sound coming from the original speaker. Often called a bidule in Europe, an interpretation with portable simultaneous interpretation equipment involves a small set up. In this setup, interpreters have a portable transmitter with a microphone with them. Delegates also get receivers with headsets. This mode of interpretation is used in situations when tours have to be set up, such as museum visits or factory visits, places where one needs to move around. The portable simultaneous interpretation equipment does not replace any original interpretation equipment and is used alongside that if any is to be used. • There is space for two people, though the booth can be extended for up to four people. • Wall panels are extendable up to 13 – 15 panels. • These booths are generally built according to the ISO Standard 2603 on built-in simultaneous interpretation booths. Interpretation booths allow interpreters to do their work in complete silence and with full confidence, without any disturbance. Delegates can also thus enjoy the best quality of work in multilingual communication. • It provides efficient communication – simultaneous interpretation offers all delegates an equal opportunity to speak their mind and listen in their own language. This is genuinely called interactive communication where no one gets left behind due to a communication barrier. • Communication in all its Entirety – As the interpretation happens simultaneously in real-time, the advantage is that none of the messages gets lost. It allows all the participants of an event the freedom to choose their words and present their views in the language that they are most comfortable with. • A Better Result – Usually international events require a lot of work in putting everything together. Interpreting facilities at a conference can avoid a disappointing outcome by ensuring the correct communication is put out there to all the participants. • It saves time – simultaneous interpretation saves time in having to translate all the documents of the speeches at a later stage and having them distributed to the participants. Time is of the essence at all international events, mainly if hosted by the United Nations. Real-time interpretation ensures that everyone present at the conference is aware of what is being discussed. • Simultaneous interpretation is more accurate – Consecutive interpretative really depends on what the interpreter remembers by memory and their notes. It is more of a reproduction of the speech, whereas, simultaneous interpretation is more accurate and better as it is an actual reproduction of the speech as it happens. Simultaneous interpretation is all about honing and practicing the skill for interpreters. 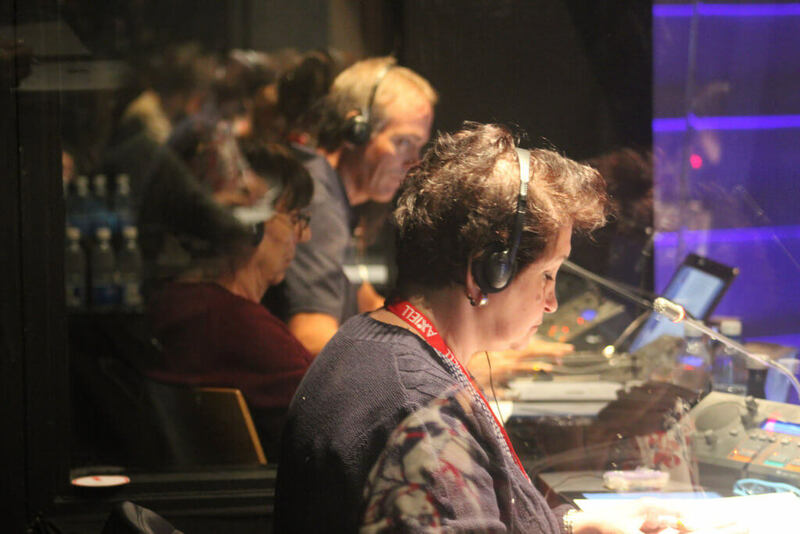 With an increase in international events around the world and the growing prominence of making a mark with your speech at the United Nations, the role of a simultaneous interpreter has come under the spotlight more now than ever before. It is one of the best ways of conveying your message to your audience who speak a foreign language. Be it for businesses or individuals, simultaneous interpretation is now crossing language and communication barriers and ensuring that everything runs smoothly between the parties concerned. An excellent simultaneous interpreter can clinch that deal for you with their superb language skills during the presentation, which otherwise would have been difficult for you to conduct without the proper foreign language. In fact, such is the job of an excellent simultaneous interpreter, which a good interpreter is not even noticed.